Perhaps best known for stints drumming for Shilpa Ray, WALTZ and Lola Pistola, Robert Preston Collum relocated to Los Angeles for a change of scenery, and began his solo recording project Pink Mexico. Shortly after relocating to Los Angeles, Collum self-released his Pink Mexico debut pnik mxeico back in June 2013. The album attached the attention of Austin, TX-based Fleeting Youth Records, who re-released pnik mxeico the following December. Preston then relocated back to Brooklyn during the fall of 2014, where released a split 7 inch with Los Angeles-based indie band SunLikeDrugs and a 12 inch vinyl pressing of pnik mexico by the Bordeaux, France-based label Big Tomato Records. And with a growing national and international profile, Collum caught the attention of Burger Records, who signed him and released his sophomore Pink Mexico fool, an effort that Collum said was written in window-less 10×10 rooms between Los Angeles and Brooklyn, reportedly fueled by nasty hangovers, cheap coffee and cigarettes. Interestingly, over the past year or so, Pink Mexico expanded to into a fully fledged band with the addition of Grady Walker (bass) and Ian Everall (drums), who toured with Collum during the tour to support fool and contributed to Pink Mexico’s forthcoming, third full-length album Dump, which is slated for a March 1, 2019 release on cassette and digitally through Burger Records and Little Dickman Records. 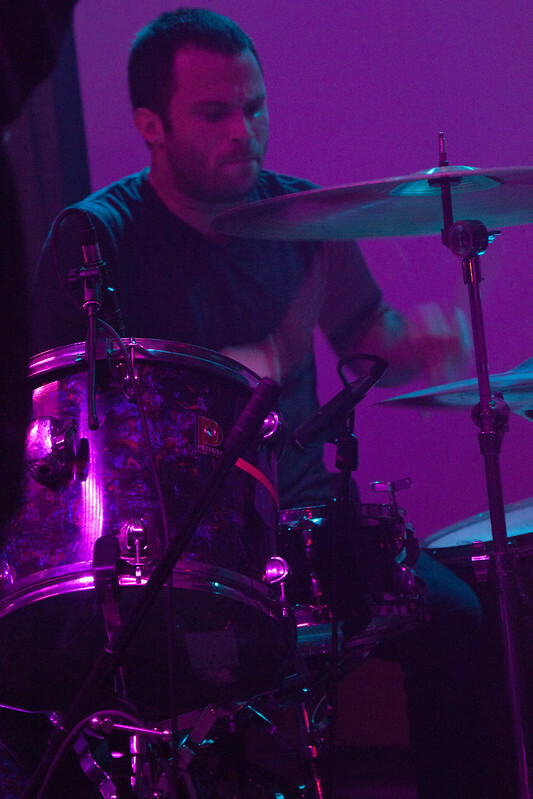 Written and recorded during 2017 and 2018 at Civil Defense Studios with Jeremy Scott, who has worked with Vivian Girls and These Are Powers, Dump is the first Pink Mexico album as a fully fledged band and the album’s latest single “High Dive” is a grungy take on surf rock, featuring fuzzy and distorted power chords and a mosh pit friendly hook. Sonically, the song manages to hint at The Jesus and Mary Chain, Incesticide-era Nirvana, Melvins and Foo Fighters while clocking in at a little over 2 minutes — or in other words, a fast and furious ripper that’s absolutely necessary. Now, if you had been frequenting this website over the past few years, you may have come across a couple of posts featuring the Brooklyn-based indie rock act Lazyeyes, and as some of you may recall, the band, which initially began as a trio and now currently consists of Jason Abrishami (guitar, vocals), Sam Maynard (guitar, vocals), Jeremy Sampson (drums) and Jermey Rose (bass, vocals) received quite a bit of attention after the release of their 2013 self-titled EP: The Deli Magazine named the band the “Best Psych Rock/Shoegaze band,” Purple Sneakers praised the EP as a “moody and anthemic record, equal parts shoegaze and dream pop,” Stereogum described their sound as a “a muscular, riff-happy brand of guitar based dream-pop” and they were a featured artist in the November 2014 issue of NME — and adding to a growing profile, tracks from the EP received airplay from BBC Radio, XM Radio and a number of FM stations across the globe. 2015’s self-released, sophomore EP New Year was eventually picked up and reissued by Burger Records‘ cassette imprint Weiner Records, and “Adaptation,” the EP’s first single received quite a bit of attention across the blogosphere, including this site. Some time has passed since I’ve last written about them — but their long awaited full-length debut Echoes is slated for a summer release through Egghunt Records and 2670 Records. Interestingly, Echoes first single, album title track “Echoes” is a brooding and seamless synthesis of 80s British post-punk and shoegaze as you’ll hear angular and propulsive bass chords, four-on-the-floor drumming and towering, pedal effected guitar pyrotechnics paired with rousingly anthemic hooks — and while the song may initially strike you as drawing influence from Heaven Up Here-era Echo and the Bunnymen, it reveals a band confidently expanding upon the sound that first captured attention. Featuring the Pacheco Brothers and one of several local session bassists, the Los Angeles, CA-based band Thee Commons formed in 2012 and since their formation, the trio have developed a reputation for a sound that meshes psych rock, punk rock and cumbia; in fact, the trio landed at #15 on LA Weekly’s “LA’s 20 Best Live Shows of 2016,” thanks in part to a live show in which they frequently go off-script at a moment’s inspiration. Adding to a growing regional profile, the band have played at several of the region’s most prestigious venues and festivals, including Echo Park Rising, Desert Daze, Viva Pomona, The Echoplex, The Regent Theatre, The Glass House, The Roxy and The Observatory, as well as a weekly burlesque dancer-based residency dubbed Cumbia Psicodelica Cabaret — and they’ve opened for the likes of Chicano Batman, Bomba Estero and Thee Midniters. “Alitas” is as shimmering and propulsive track that will further cement the trio’s reputation for a sound that clearly draws from 60s psych rock, garage rock and surfer rock and cumbia — and in a way that seems loose, effortless and mischievously anachronistic as though the song should have been included in a Quentin Tarantino soundtrack. The second single “Dr. John” continues in a similar vein but with a loose jam band meets punk rock vibe, complete with some blistering guitar work. And while being an impressive way to end a year for the up-and-coming band, it’s also a revealing look into one of the more unique sounds I’ve personally heard this year. Sharkmuffin celebrating the release of their sophomore effort at Sunnyvale earlier this month.